Heated Seats, OPTION GROUP 01, Alloy Wheels, Satellite Radio, Back-Up Camera, All Wheel Drive, iPod/MP3 Input. FUEL EFFICIENT 27 MPG Hwy/21 MPG City! 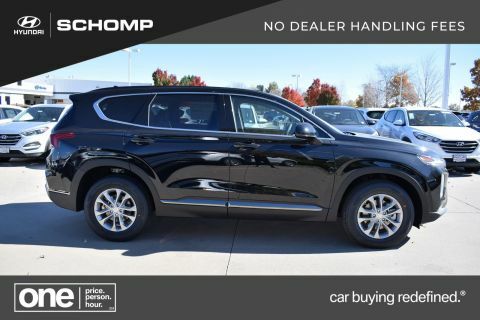 WHY BUY FROM SCHOMP HYUNDAI? 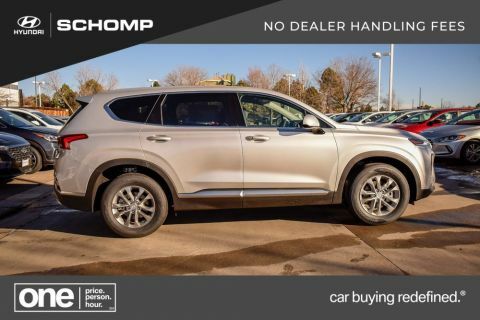 Schomp Hyundai has one of the largest selections of new Hyundai vehicles and pre-owned inventories in the Denver Metro area. We never charge Dealer Handling fees or any other hidden charges. We embrace the idea that a company should support the communities it serves. Our organization is a large contributor and donor to many local charitable organizations and sponsorships. We value your automotive buying experience and invite you to experience our One Price. One Person. One Hour. sales process to see how it differs from the traditional car buying experience. It's Car Buying Redefined. 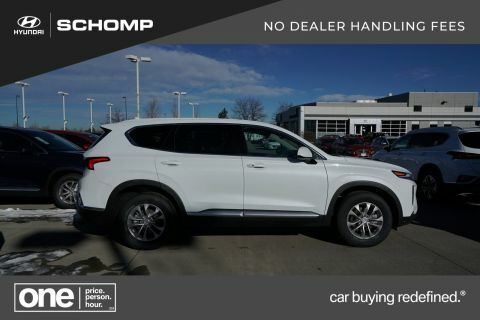 Edmunds.com explains The interior is quiet, with a distinct absence of road or wind noise. The front seats have a good mix of soft cushioning and firmer lateral support that help you stay refreshed on long stints.. 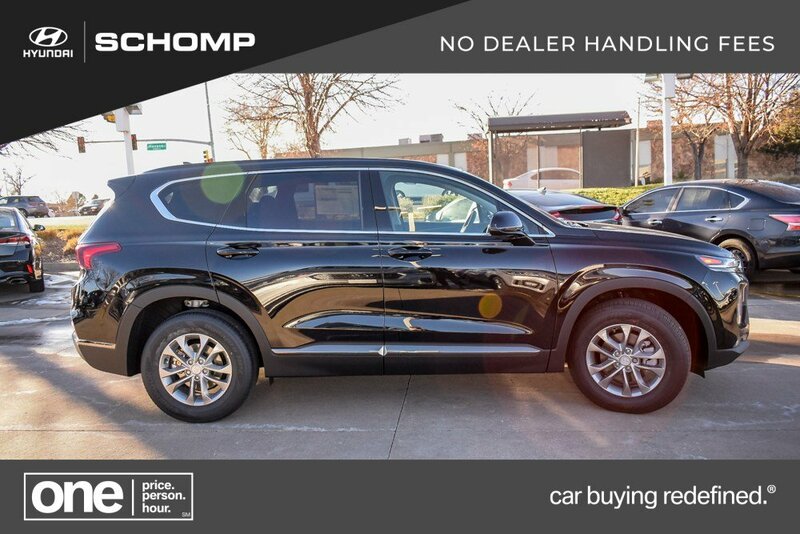 Thank you for choosing Schomp Hyundai. Where You Are #1. With Better Selection, Better Experience, and Better Deals. We have been proudly serving Colorado for over 25 Years! Family owned and operated. We have the experience and the resources to make your next purchase simple, upfront and informative. It’s that easy. “You do the driving, We’ll do the rest.” We want to make this a better experience for you! Our experience with the Hyundai Brand allows us to provide you with all the best programs offered by Hyundai and Hyundai Motor Finance. We have partnered and have access to many other financial institutions that allow us to present you with the best financing and leasing options. 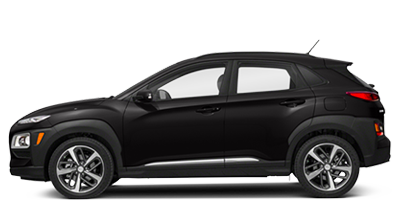 Look no further – we’ve got one of the best selections of new Hyundai’s in Colorado and in the Front Range. 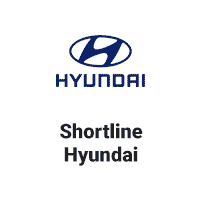 We make sure our inventory is stocked with Hyundai’s that will fit every lifestyle in Colorado, we are your Premier Hyundai dealer with Better Inventory of Accent, Elantra and Hybrids. We have a large selection of Santa fe Sport, Tucson & Santa Fe AWD and 4WD to choose from. Explore our Digital Showroom. We update our inventory often. We will update you on the Better Specials and Better Exclusive offers daily. We will also provide you all the information you want and need to make an informed decision. Thank you again for the opportunity to serve you!